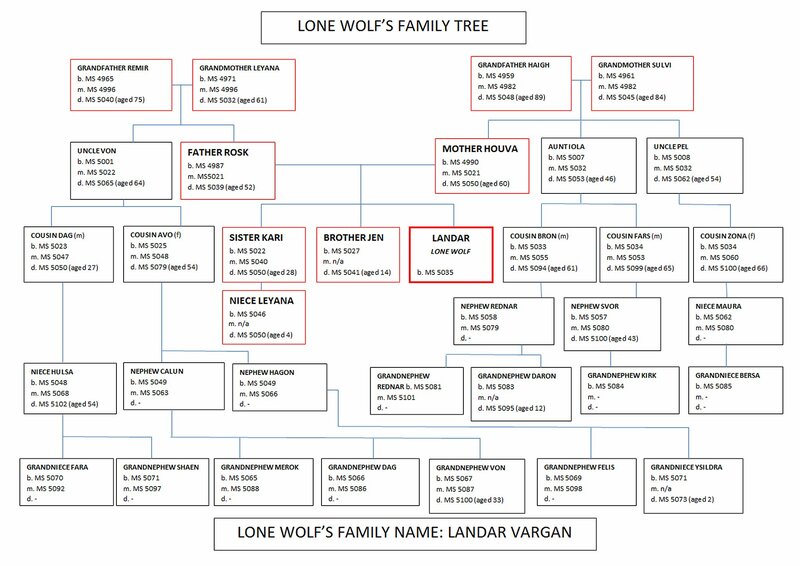 Lone Wolf's family name is Vargan, which is Old Sommlending for wolf. This makes Silent Wolf, the name he was given when he joined the Kai Order, particularly apt. Before he left his family home to join the ranks of the Kai, his name was Landar Vargan. Some of you diehard fans will note that this fulfils the Skarn/wolf prophecy of the Koura-tas-Kai legend in Dessi.